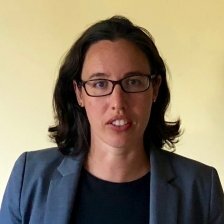 Amy McGann is a Foreign Affairs Officer in the U.S. State Department’s Bureau of Democracy, Human Rights, and Labor (DRL) where she works to advance internationally recognized labor rights and leads the bureau’s blockchain work. Prior to DRL she worked on trafficking in persons and human rights issues in the Bureau of South and Central Asian Affairs and completed Presidential Management Fellowship rotations in the Bureau of International Organizations, and Embassy Bangkok. Amy received her M.A. from UCLA and J.D. from the University of Wisconsin.